*Massages will be available throughout the day by a licensed massage therapist. 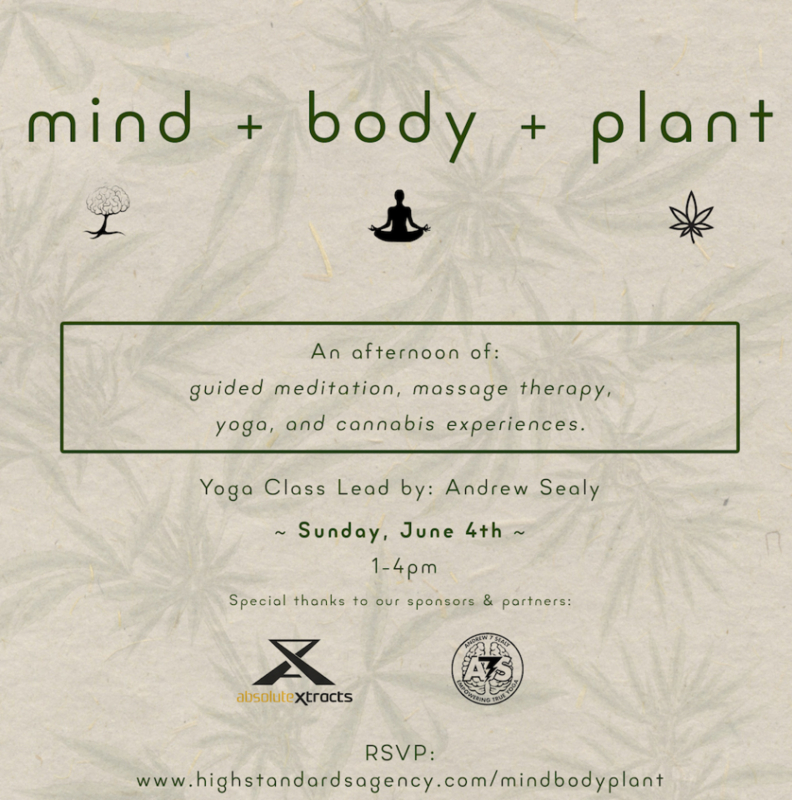 *Andrew Sealy is a connection catalyst, a yoga artist, and a movement creator. His days are spent traveling to find adventure, practicing to cultivate growth, and constantly absorbing wisdom to creating new experiences that he shares with love, to friends around the world. Through the unique practice of Yoga and mindful living, Andrew embodies progressive knowledge while positively influencing and empowering his students. Andrew’s teachings aim to answer the question: How can we adapt to create and evolve to sustain? Where do I park? Limited street and paid lot parking is available. We recommend to use Uber or Lyft. Is the cannabis for purchase? No. The cannabis is a gift and a part of the evening's experience. We are not a seller of cannabis. What should I bring? An electronic copy of your ticket, an ID or Driver's License, a yoga mat, and a small towel. You can also bring your own cannabis if you'd like but we'll have plenty for your consumption. :) Do I need a medical marijuana card to get in? No, the plant is legal for recreational use in the state of California. All you need is to be 21 or older. Where is the venue? The venue is a private location in Los Angeles. Since this is a private event, the address will be emailed to you the night before and on the same day as the event. Please make sure to check your emails. Will there be food? Yes, fresh and healthy snacks. Is there an age requirement? Yes. You must be 21 or older. ID's will be checked at the door. People below 21 will be turned down at the door and tickets will not be refunded.